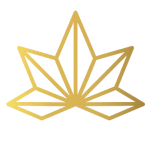 CBD Oil Review rates the Wee Hemp Company with two stars because it qualifies for the Quality & Mission Badges. Meet Wee Hemp, a team of eco-conscious straight shooters with an infectiously personal branding message. 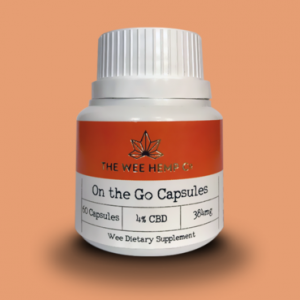 Wee Hemp hails from Aberdeen, Scotland and sources CO2-extracted, industrial hemp grown in Europe and the U.S. sans pesticides, herbicides, and chemical fertilizers. Their segway into the CBD industry began with a daunting personal health battle and blossomed into a little company with big personality. There’s something downright loveable about Wee Hemp; we just need a wee bit more from them to grant more badges. Wee Hemp is the brainchild of married Scottish couple Calum and Rebecca (they list their dog Mylo as an integral team member as well). Rebecca was diagnosed with Crohn’s Disease at an early age and Fibromyalgia in adulthood which prompted four major surgeries and endless medicines/antibiotics to treat her conditions. She found that her cabinet full of prescriptions was ultimately doing nothing to improve her situation, so she embarked on a dramatic lifestyle change. She switched up her diet to include more healing plants, turned to holistic healing, and incorporated CBD into her health regimen. The result? Rebecca is now off all pharmaceuticals and back to the active life she loves. She and Calum now procure high-quality CBD to share these healing benefits with the world. Wee Hemp’s product line only contains full spectrum CBD together with all-natural ingredients. Their tinctures come in two concentrations with a choice of cold-pressed hemp oil or olive oil as the carrier. Both these oils are highly nutritious, and it’s cool to see a company switching it up with carrier oils, as most usually stick to one. Wee Hemp also manufactures e-liquids in four different flavors made from isolate crystals and natural, non-GMO ingredients. Their topical line is impressive, featuring The Wee Balm Pot, a popular salve with unconventional ingredients like grapeseed oil and Madagascar vanilla, and a repair cream with liposomes for heightened absorption. Finally, they offer softgels, their only non-vegan product, that contain bovine gelatin, a typical component of gel capsules. Wee Hemp’s small, family-run operation feels cozy and genuine with a powerful personal journey to back up their mission. Their sustainable principles are obvious; they even provide a free eco hemp bag with every order. However, we are unable to award the Safety Badge. 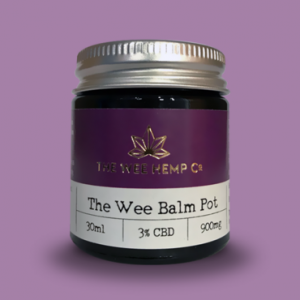 Wee Hemp posts test results online of their products’ cannabinoid profiles, but we need them to take a step further by posting tests for contaminants like pesticides and other toxins. Bottom Line – Wee Hemp is a promising, feel-good company with premium products. We look forward to seeing more from them, and with a few changes à la contaminant testing and charitable giving, we’d love to award them more badges in the future. 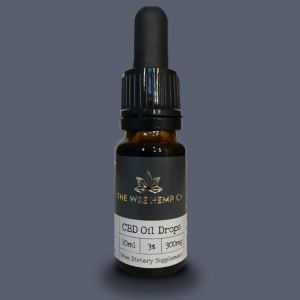 Wee Hemp uses industrial hemp that is sustainably sourced and processed using CO2 extraction to procure their CBD. Additional ingredients in their products are all-natural and nutritious. Wee Hemp is committed to bringing hemp’s health benefits to market through eco-conscious and all around good-natured practices.